Whether you are a rock crawler, mud bogger or just a two-tracker this skid is for you! 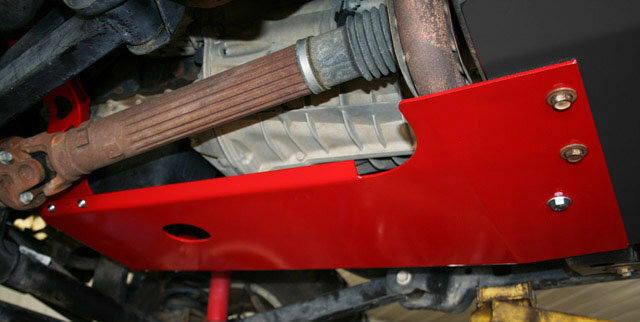 This skid plate is designed for maximum coverage, but also is easy on the eyes. These skids are CNC cut and CNC formed in house, here in the US of A! 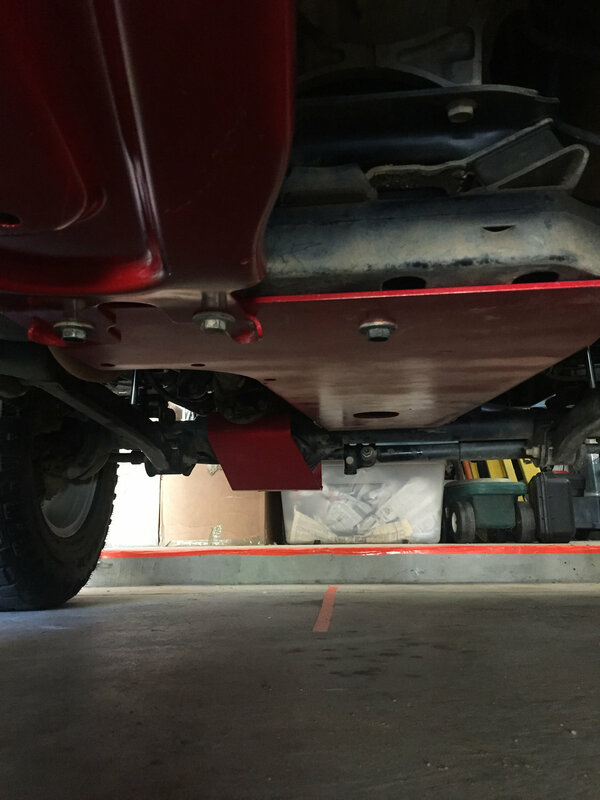 Built from 3/16" plate, our skid is a must have for all JK owners. This skid will fit both the old 3.8L V6 or the new 3.6L Pentastar VVT engines. Shown in red for illustration purposes only. Mixed review. I bought this about a month ago and finally had time to put on. A friend helped and was impressed with the mounts compared to his skid plates. The JCRs are much more beefy. While installing, I noticed it was close to the engine block, <.25”. We tried adjusting and started the engine a few times to watch the clearance. I kept an eye on it and noticed two days after install it was touching the engine block. I removed the mount and cut notch out. Will keep an eye on it for a while. Hopefully JCR gets back to me about this. The clear instructions made it easy to instal. Only wish it came in red...nothing that I could not fix with a rattle can. It also appears to cover the exhaust on the RH aft side. How wide is the aft section? 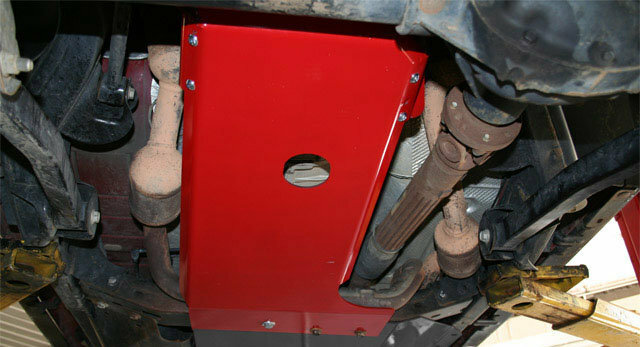 This skid plate measures 19" across the front, 38-3/8" long, the lip is 1" deep, and 10-7/8" wide a the rear.